Are you living in the present moment? If not, this video could help. Ric learned a lot from being in the edge of death, and he shares his learning in a very simple way. Being close to death makes you put things in perspective, makes you realize you have been wasting precious time doing something that is not worth it, expending too much time being worry for things that have already happened or that may never happen. He says if he has a good bottle of wine and he is with th right person, he will open it, because he may never have the time to open it. He also says he doesn’t argue now to be right, he wants to be happy instead. Don Juan the chaman in Carlos Castaneda’s book is always talking about your own death, it says that your death can teach you more than your own life, because knowing you are going to be death takes away the urgency to accumulate possessions. It also makes you braver and stronger, because you know that one day you are going to be gone. He also says something that really caught my attention, he says that he wasn’t rally afraid of death, though he didn’t want to die, because he wanted to help more people, he wanted to see his sons grow up, he wasn’t afraid of dying. It makes you wonder that being so close to death could make you see it as it really is, as something natural, as the next step towards our evolution, returning back to the Source, returning back to the state of peace and endless consciousness. Return to God, which I believe it couldn’t be sad at all. But for now we only have this moment and nothing else, so we can keep busy living or keep busy dying. He was a US Navy jet pilot in Vietnam. After 75 combat missions, his plane as destroyed by a surface-to-air missile. Plumb ejected and parachuted into enemy hands. He was captured and spent 6 years in a communist Vietnamese prison. He survived the ordeal and now lectures on lessons learned from that experience. Plumb thought of the man hours the sailor had spent on a long wooden table in the bowels of the ship, carefully weaving the shrouds and folding the silks of each chute, holding in his hands each time the fate of someone he didn’t know. 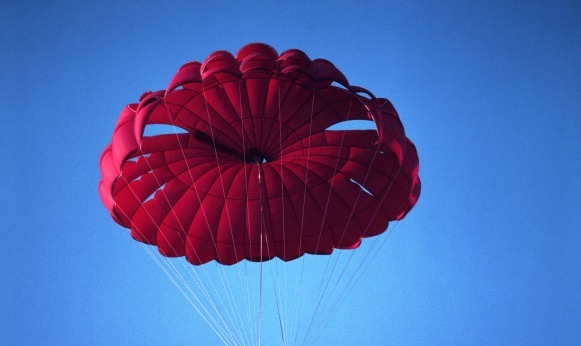 The People that is packing our parachutes are the ones that we don’t notice most of the times, the people that do the “small things” for us: the people that is cleaning the streets, cleaning the office, the policeman, the waiter at the restaurant, the cashier at the grocery store. All those people that we sometimes barely notice and that many times we don’t even know their names, are always there for us, even when we don’t even notice them. You could do many things for these people behind you, but sometimes the best way to do something for them is to say “thank you” from the heart, letting them know, that they are really important for you, that they are doing a great job for you and that you really appreciate it. A simple way to do this is to do it one at a time, this way we can start by finding one person that does somethong for us, and start thanking one person every day, trying to be aware of all the persons behind you, one person per day, one at a time. you can write them a letter, an email, a text message, you can thank them in person. I am pretty sure you won’t run out of persons that are now helping you, you may even notice that you are aware of more and more people every day that are there to make your life easier. I also want to Thank You for reading my posts. 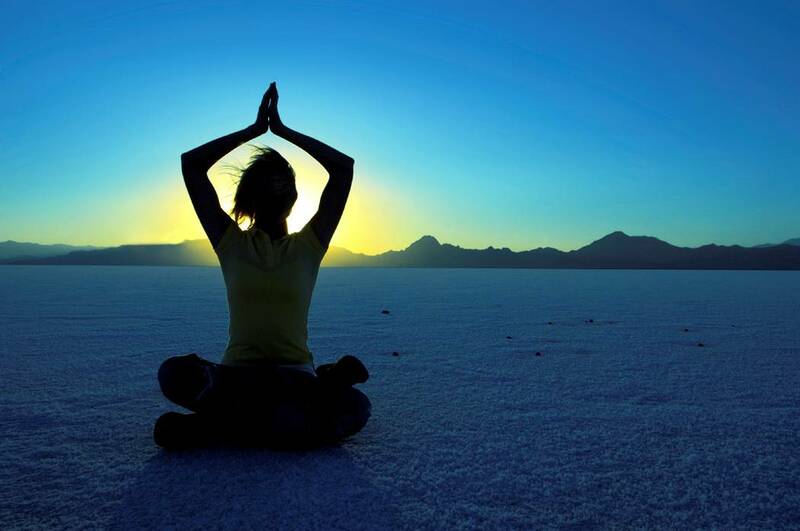 During the last decades, there had been several studies about the benefits of meditation. When people in the early seventies started to hear about meditation, they thought it was like a new ORIENTAL religion, and the ones that would practice it would feel good and would try to convince others about the benefits, but most of those were convinced because they coul see a change in the other person. Actually when you meditate, you feel good, and that should be a satisfactory argument, but for us in the occidental world, we need facts in order to believe in certain things, like meditation. That is why there had been so many studies about meditation, because we know it’s good, but we need to see the numbers, the data, the benefits of practicing it in a way we can understand. They studied prior non meditators who meditate for 8 weeks, and found out extraordinary results for the meditators. The images also showed a reduction of gray matter in the amygdala, a region connected to anxiety and stress, so meditators not only increased their capacity to focus, but they decreased their capacity to suffer stress in the same conditions that they used have before. When one relaxes into the state of oneness the neuronets change andr the psychological wall between them and their surroundings. Meditators claim to have a deep harmony between them and their surroundings. Unfortunately all this studies can’t give you the experience of meditation, that can’t be explained with words, because each one experience it in a different way. So try it now if you haven’t done it previously, and if you already are a meditator, now you know some scientific data of what you are already experiencing.